OHPC Recruitment 2017 – 05 Staff Nurse, Multipurpose Health Worker & Pharmacist Posts:- Odisha Hydro Power Corporation Limited (OHPC), Odisha has published latest notification for filling up 05 posts of Staff Nurse, Multipurpose Health Worker & Pharmacist on contract basis. Desirous & eligible candidates can apply in prescribed application format on or before 10/04/2017. Age Limit: As per rules of OHPC. For Staff Nurse ( Male/Female) : Must have passed +2 Science Examination under Council of Higher Secondary Education, Odisha / equivalent and Diploma in General Nursing & Midwife Course from any of the Medical College and Hospitals of the State / any other recognized private institutions duly approved by Indian Nursing Council and examination conducted by the Odisha Nursing Council. For Multipurpose Health Worker (Female) : Must have passed Higher Secondary School Certificate +2 Examination and passed Health Worker Female Training course conducted by the Odisha State Nursing and Midwives Board or passed out from INC (Indian Nursing Council) approved institutions either Government or private and having Odisha Nursing Council Registration. For Pharmacist : Must have passed +2 Science Examination under Council of Higher Secondary Education, Odisha / equivalent and Diploma in Pharmacy from any ofthe Medical College & Hospitals of the State / any other recognized private institutions duly approved by A.l.C.Y.E and examination conducted by the Odisha Pharmacy Board. Application Procedure : Eligible candidates can send their application in plain paper with their full Bio-data along with all essential documents to office of the Senior General Manager (EI), Upper Indravati H.E. Project, At/Po:- Mukhiguda, Dist.- Kalahandi, Odisha, PIN – 766026 on or before 10/04/2017. 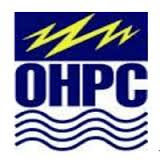 Subscribe our free job alert mail for OHPC Recruitment 2017.